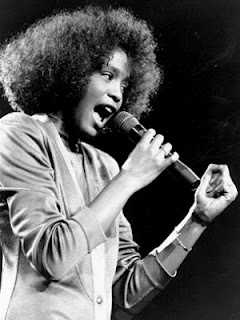 HOW WHITNEY STOLE A GRAMMY - T'sup UG? After 54 years many wondered whether the Grammy Awards still hard the spark, with a huge reference to the past winners of the big four awards the Academy had a lot to prove just months before it becomes 55 next year. Not that all had been lost but with the wins of Arcade Fire and EsparanzaSpalding for the Album of the Year and Best New Artist accolades left many questioning the relevance of the awards. So with this year’s nominees, the Grammy Awards, the academy had to prove to many doubters that they still have an idea about whatever they are doing. 2011 was a year when pop music took the front, with records from artists like Adele, Lady Gaga, Rihanna and Bruno Mars, this year’s show was almost putting out the best of tricks to outsmart the past ceremonies. It was scheduled to be Adele’s biggest night, not that she was the most nominated artist but she had been nominated in the three of the four biggest broadcasted categories and she stood many chances of sweeping them all her come back performance after months would just be an ice on the cake. Everything was set, the festivities the organization when something unthinkable happened, the death of six time Grammy winner Whitney Houston on the eve. Whitney might have faded off the buzz scene, true, you and I might have forgotten that she still existed but fact is that she was and is one of the most successful female musicians of all time thus her death wasn’t a mere loss to the music fraternity but a dark cloud on this year’s music night. She was respected by the academy and word is that she had been scheduled to perform and even present an award alongside Brandy and Monica. It’s said she had even rehearsed a night before her demise plus more exclusive footages show Whitney Houston performing her last at the Love RnB Grammy with famous friend and collaborator Kelly Price. This was Friday 10th her last day alive and she had suspiciously performed “Yes Jesusloves me” one of her classic Gospel songs. On the eve of the big night and career defining moments for artist her death came as a timely one, first of all she died in a period when the world’s music celebration are on their pick. The news headlines may have ignored her presence in the organization of the entire show but her death simply put everything else in a back seat. Just hours to the show, Whitney managed to change everything, the performer’s list had to be rebuilt, LLCool J the night’s host had to scrutinize his script to add some Whitney in there just like the winners’ acceptance speeches. 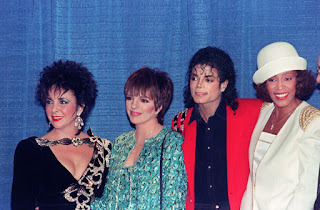 Some say that the Diva finally got back at the Award show for what many referred to as a snub about 26 years back. She was expected to win Best New Artist but the academy opted not to even nominate her in the category, they cited that she was ineligible since she had featured in a Teddy Pendergrass‘ song the previous year. The Academy refused to nominate her declaring that she was an old existing artist though the next year the awards reverted their decision when they nominated Jody Watley who had been making hits for nearly ten years with Shalamar a band. Many looked at the snub as a racial issue at that time that to date its considered one of the biggest Grammy snubs of all time and considering the fact that in 1999 Lauryn Hill a former member of the FUGEES was too nominated and won Best New Artist yet she had been making music, hits and winning Grammies for nearly fifteen years. When people make such comparisons they truly have no kind words for the academy. Her death on their eve cast a shadow over the awards festivities that as the entire music fraternity descended upon the city of Angeles, the world had shifted their tension from the ceremony to Whitney; she had not stolen a physical Grammy but the entire show. 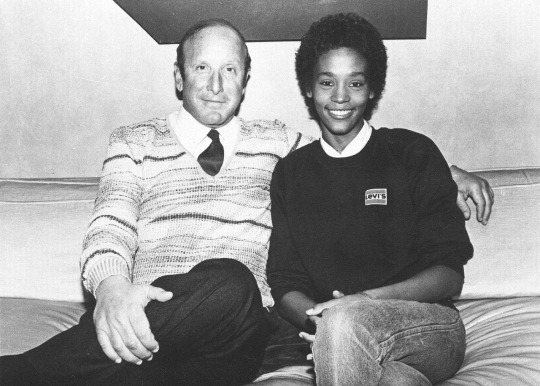 To prove that she is a six time Grammy Diva, Whitney affected the Grammy after parties too, one of the events greatly affected was the annual after party organized by executive Clive Davis, the party is annually hosted at Beverly Hills Hilton – the same hotel where Houston’s body was found. With everything already set the organizers couldn’t cancel but simply let the After party celebration turn into a memorial. Many might make many jokes about Whitney’s death but one thing to be noted is that the world is full of hypocrites. Whitney had performed at the Grammy pre event on Thursday and Friday, none of us cared, she rehearsed for the main show and no one even cared but as am writing this and probably even by the time you read it, many will have written of how she did the best super bowl national anthem of all time (I actually watched it before I decided to write this article). After bringing her down with criticism the world has decided to re-buy her music making her number one on iTunes. One thing for you all, where was all that love when Miss Bobbyneeded it?… true, you don’t miss your water till the well runs dry.